Semetipsum, a latin expression that means literally "his own self", it is a project, an event, a wine, an unpredictable meeting, that however must happen: It happens at Michele Satta’s. Even this year the unpredictable meeting has happened. It is not a meeting between art and wine, but among ”artists” who live their job in the search and expression of that “own self” unique and unrepeatable that inhabits every human being. 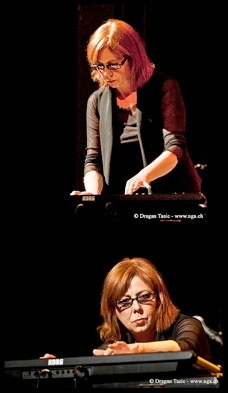 The great pianist and composer Rita Marcotulli, winner in 2011 of the “David di Donatello” as best Soundtrack, she composed for the film “Basilicata Coast to Coast”, and of the “Top Jazz” 2011 as Best Artist, will improvise at piano dialoguing with Michele Rabbia, fanciful performer of percussion and electronics, being guided by the cellar, land and landscape’s suggestions, but above all by the encounter with Michele Satta, and by the listening of his superb Syrah 2009, selected in exclusive for this project; the images that will arise from Petulia Mattioli’s art will complete the work. This is the third event born from the collaboration of the great wine producer of Bolgheri with Eraldo Bernocchi, musician and experimenter, Petulia Mattioli, video artist, and the record company RareNoise Records of London. This year 's event will be sealed by Oscar Cosulich’s writing, artistic director of the Future Film Festival and journalist and collaborator of "Il Mattino", "L 'Espresso" and "La Repubblica". The splendid Harold Budd that in 2010 improvised at his beautiful piano together with Eraldo Bernocchi, on the notes of an exclusive Cru Sangiovese 2008. 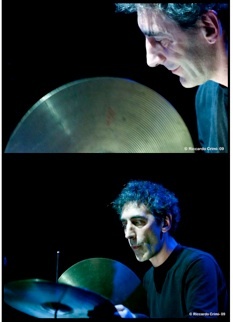 The unforgettable Nils Petter Molvaer that in 2011, in the engaging atmosphere created by Petulia Mattioli’s videos, interpreted with his Trumpet the perceptions created by Viognier 2010, can “be enjoyed again” with the exclusive autographed magnums, packaged together with the CD of the concert recorded live. The label changes every year and the entire package is curated by Petulia Mattioli. Even this year the concert, that will never be played again, will be recorded live and recorded by Rare Noise Records in London; The wine, specially selected for the event from New Vineyard, will be bottled in a limited edition of 200 Magnums, the label and booklet presentation will exclusively accompany the package. And, of course, anyone who wants to be present will make the event unrepeatable!